The opening workshop will take place in London, UK, on September 18 during The SBC Sponsorship Forum. Right after FeedConstruct team travels to Asia to host a workshop in Manila Philippines on September 20. 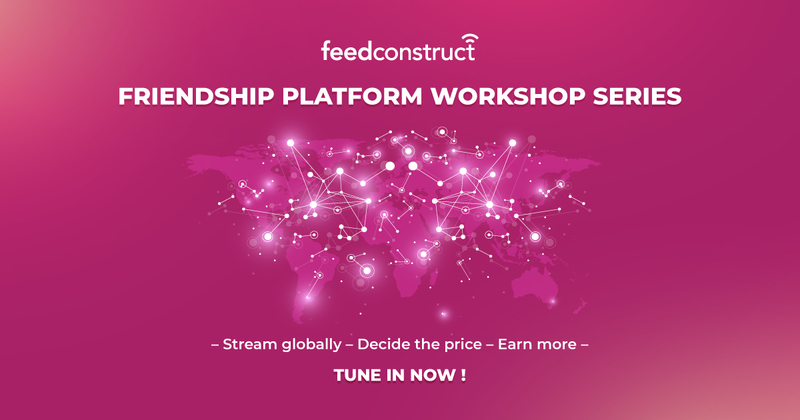 And the next date will be September 26, Friendship Platform Workshop in Moscow, Russia. From that point on the company goes global presenting its novel solutions in a number of countries on the same day, September 27, with a mission to show our attendees the new ways of making a profitable business with sports content. Estonia, Tanzania, Peru, Germany, France and Russia are the countries of the first Friendship Platform Workshop session. On October 4 the next group of countries will be having FeedConstruct presenting its solutions.